Hello! My name is Aundriel O. and I am excited to work with you! I have tutored for over 13 years. I love helping students achieve higher test scores, earn better grades, and get into top universities. My biggest thrill though comes from seeing the confidence emerge in students who have previously doubted themselves. That encompasses the primary reason I do this and why I believe my students achieve success. I believe in you and I will push you, study and cry with you, until you believe in you too. I possess an undergraduate degree in English Literature and Acting from Washington University in Saint Louis. I also earned my MBA in accounting and Human Resources, while working full time as an assistant retail manager, from University of Phoenix. Currently, I work full time as an associate retail manager, but have tutored consistently part time for last three years. I received my MBA with a concentration in Human resources and I achieved all A's in these classes. I have served as a manager for more than five years and I have seen many of those I have coached and tutored move forward in their careers and schooling to reach their goals. I am very passionate about developing others and helping them find their best fit within an organization based on their skills and interests. I feel that I am gifted in this area because I truly believe that each person possesses the ability and desire to succeed; sometimes a little push and encouragement is all it takes. My public speaking experience began in high school where I spent several years competing in various speech and debate competitions. I earned numerous college scholarships for my efforts in these events. In college, I majored in English literature and acting, so many times, my grade depended on my ability to present a paper in class or to deliver a performance. I graduated college with honors and completed a senior honors thesis in my acting major. Finally, to earn my MBA, I had to publicly present papers, research, and presentations for each class. All of this prepared me for my career in training, management, and coaching. I have organized and hosted career days for my company, where I present on financial topics to high school seniors and college freshmen. I have also put together training classes for my associates and peers in several companies I have worked for to teach newly-hired employees as well as progressive learning for the experienced ones. I have worked with grades K-6th over five years, during high school, college and intermittently throughout my professional years. I tutored in reading, writing, and math. Some students had special needs and some just were lost in the day to day shuffle of many other students and testing deadlines. Mainly, I helped these students gain confidence and understand not only the content of their studies, but also the steps they needed to take to stay ahead of the curve for the future. Parents and students consistently noted that I helped my students develop study habits and methods that they would turn to throughout the years. I have often found that schools present sometimes circular methods to communicating math and reading in effort to cover standardized test content; I present straight-forward methods in math and reading. I am patient, empathetic and consistently focused on future goals. I want the children and parents to always know what we are striving for so that we can all be held accountable for achieving it. My qualifications to tutor study skills include my work as an ACT/SAT prep tutor and a one-on-one tutor. I have helped students and team members with time management, subject comprehension and to vastly improve their test scores. I also completed my master's degree (MBA, with honors) while working full-time. I believe the key to my success lies in my ability to prescribe a method for myself and others that works with the way we already learn; I find the comfort zone and use it as a foundation to provide other tools to process material and stay organized. I personally scored in the 85th percentile or higher on every section of the ACT/SAT and in the 99th percentile on the Reading/Writing/English portions. I have several years of experience teaching and tutoring specifically for standardized test prep. I have a track record of consistent improvement in students' scores. I offer strategies that students can use immediately to test more effectively. A few additional points regarding my English experience: --Majored in E Lit at Washington University (Dean's List) --Senior Honors Thesis --MBA at University of Phoenix (with honors) --Consistently recognized in my profession for having clear communication to superiors and subordinates. --Scholarship Winner for excellence in oratory contests in high school and college. Aundriel is an exceptional tutor. She does a great job balancing the work and the individual student needs. She is timely, well organized and prepared for every session. She enjoys teaching, and it shows because my student now enjoys learning Math. We are incredibly pleased and grateful to have her. Ms. Aundriel is always prepared when she arrives. Her tutoring skills has increased my son grades. She is awesome and I am very satisfied with choosing the perfect match for my son achievements with his studies. Thank you. My son said that Aundriel was very easy to work with and helped him understand the concepts of his lessons. I am grateful for her help. My son improved 2 letter grades on his lesson just after one session. My daughter was excited to tell me about the session. I'm so happy that she is already feeling confident about taking the test. She is very patient with my daughter. I like that she follows up to check on her after a test. 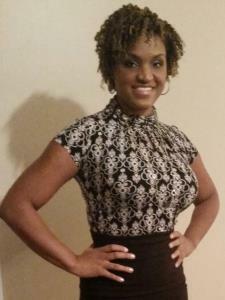 Thanks Aundriel, my daughter tells me how she benefitted from you. Hopefully she will score high in the exam. Excellent tutor, very knowledgeable about the process and very easy to relate to. She was able to asses where my daughter was and what she need to increase her scores very quickly. It has been a joy working with her so far. Aundriel taught me how to complete my thoughts when writing a paper. What I like about Aundriel tutoring is her patient. Writing Master level papers. Went over Math and she was very helpful with the explanation. She was able to show me exactly what was needed so I could understand what is being presented. Aundriel is very patient with my daughter. She is very knowledgeable with the subject (s) and takes her time going over the material until my daughter comprehends the information. 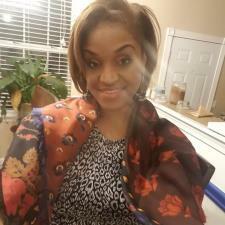 Aundriel is complete with positive energy, positive attitude, and a sincere desire to educate. I would highly recommend her tutoring skills.